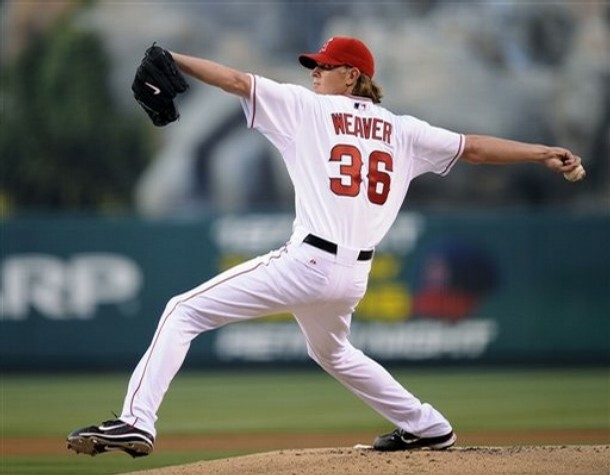 In 2006, a 23-year old rookie by the name of Jered Weaver burst onto the major league scene at the end of May, making 19 starts with an 11-2 record to go along with a 2.56 ERA, 1.033 WHIP and 105 strikeouts in 123 innings. Since then, Weaver has developed into a very good pitcher atop the Los Angeles Angels of Anaheim rotation, but has never been able to duplicate the success he had in his rookie year… until this season. From 2007 through 2010, Weaver never had an ERA below 3.01 (2010), a WHIP below 1.074 (also 2010) or more than 16 wins (2009). However, he slowly morphed into an innings eater and a strikeout machine on the mound, usually signs that a pitcher is about to take a leap forward. In 2010, Weaver threw 224.1 innings and struck out a league-leading 233 batters en route to a fifth place finish in the American League Cy Young voting. Weaver has taken the leap forward to become a dominant pitcher on the mound this year. In 21 starts, he has a record of 13-4 with a 1.81 ERA, 0.948 WHIP and 129 strikeouts in 154 innings. He has thrown four complete games and two shutouts, averaging 7.1 innings per start. He leads the league in ERA and ERA+ (204). Jered Weaver has come full circle from his rookie year. With the exception of his strikeout numbers (7.5 K/nine innings), all of Weaver’s numbers are either better or on pace to be the best since his rookie season, including his walk ratio (two BB/9) and hit ratio (6.5 H/9). Weaver’s best season since his rookie year has been helped by a couple factors. One is luck. Opponents’ batting average on balls in play against Weaver is .249, well below the league average of .300. Hitters are having a very hard time squaring up his pitches, as Weaver is allowing a home run on a flyball just 2.5 percent of the time this season, the best mark in the majors by a full percentage point and well below his career average of 7.2 percent. The other factor is Weaver’s ability to mix his four plus pitchers, a fastball (throwing it 56.4 percent of the time in 2011), slider (throwing it 17.6 percent of the time in 2011), changeup (throwing it 14.7 percent of the time in 2011) and curveball (throwing it 11.4 percent of the time in 2011), so effectively. He has seen his groundball percentage drop from 2010 (36 percent of batted balls were grounders in 2010 compared to 33.6 percent in 2011), but his infield pop-up rate increase significantly, from 11.9 percent in 2010 to 17.2 percent this season, which leads the major leagues by nearly a full percentage point (Milwaukee’s Sean Marcum is second with 16.3 percent). Weaver’s ability to use all four of his pitches effectively has kept batters off-balance, inducing weak contact, which may explain Weaver’s incredible home run-to-flyball ratio and why he is getting batters to pop-up so often. Even though batters are hitting fewer groundballs against him, normally a sign that a pitcher is flirting with danger, Weaver’s comfort and ability to use any of his pitches in any situation has made it extremely difficult for batters to make solid contact on any of pitchers. Hitters never know how Weaver will attack them in an at-bat or what he will throw next, which gives him an immediate advantage in every at-bat. 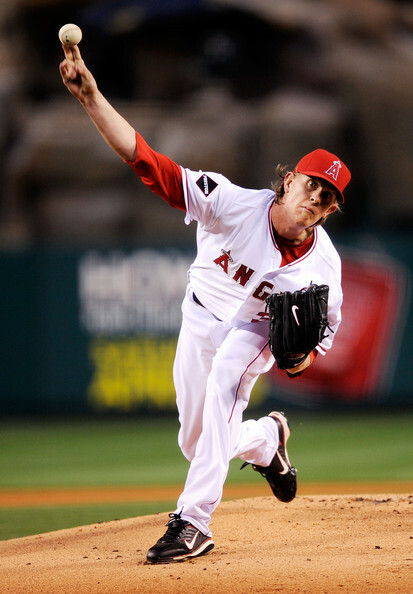 Jered Weaver has finally been able to duplicate the success he had during his rookie season in 2011. 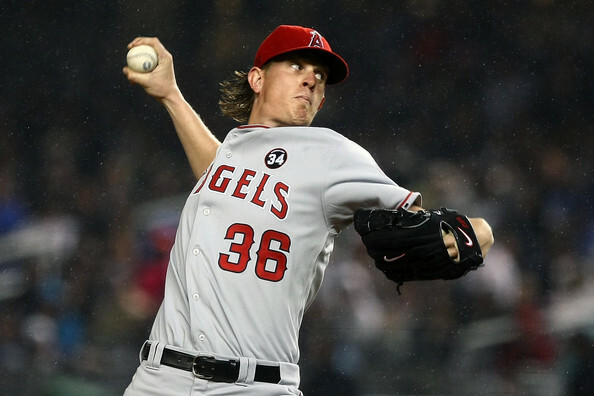 After seeing his funky delivery and becoming more familiar with his pitches, hitters began to catch up to Weaver, although he still continued to pitch well for the Angels from 2007 through 2009. However, in 2010, Weaver learned how to master all of his pitches and began striking out batters with ease. He has taken that level of dominance to a new level this year, keeping hitters off-balance by throwing any pitch in any count, making them not know what to expect from him on the mound. He has become one of the most difficult pitchers to hit against in the majors. It took four years, but by becoming one of the most dominant and special pitchers in the game today, Jered Weaver has finally come full circle from his tremendous rookie campaign in 2006. This entry was posted on July 22, 2011 by Scott Kornberg. It was filed under Jered Weaver, Los Angeles Angels of Anaheim and was tagged with Angels, Jered Weaver, Los Angeles Angels, Los Angeles Angels of Anaheim, Scott Kornberg.